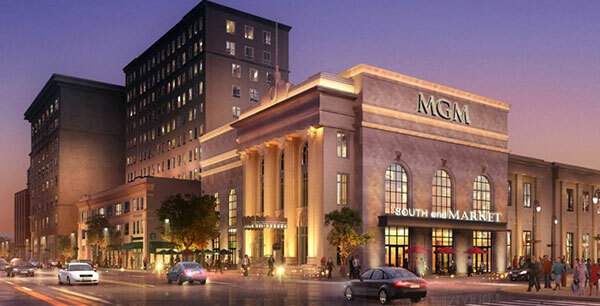 The highly anticipated grand opening of MGM Springfield is right around the corner, and this could be the beginning of a very promising career! Here are some important things you can do to get ready. * Apply for up to three openings, if you don’t get your first choice this allows you to be considered for others. Call (413)-273-5090 for hours and information. To learn more about employment opportunities with MGM Springfield, please feel free to visit MGM Career Center. Find out where your skill sets belong. MGM Springfield has partnered with SkillSmart to match you with the best job opportunity. Please keep in mind this is not a listing of current available positions at MGM. It is a platform to help you find a job title where your skills fulfill the requirements. Learn how SkillSmart can help you identify your next career. HCC is running the Massachusetts Casino Careers Training Institute Gaming School with Springfield Technical Community College through their TWO (Training and Workforce Options) collaborative and in partnership with MGM Springfield, which owns the gaming school facility and will supply the trainers. A full schedule of training classes, course descriptions, and other details on their website. Learn from top chefs in our beautiful new state-of-the-art facility. Featuring four full-service kitchens, a bakery, hotel lab, and student-run dining room, it’s the perfect place to launch your career! Phasellus ut suscipit purus. Cras quis ornare ex, ut iaculis dolor. Pellentesque dictum ullamcorper odio, in iaculis turpis facilisis et. Nullam nec pellentesque nulla.